With the near month-long winter break looming large on the horizon, the seventeenth round of Eredivisie action got underway on Friday evening at De Koel where goals from Tino-Sven Susic and Patrick Joosten saw hosts, VVV Venlo snap a run of five games without a win by turning away the challenge of an undermanned PEC Zwolle. Saturday’s action in the top flight of Dutch football got off to a false start with ten-man Fortuna Sittard and struggling Groningen drawing a blank. However, while goals were in short supply in Sittard, that certainly wasn’t the case elsewhere as reigning Eredivisie champions, PSV Eindhoven hit in-form AZ Alkmaar for three to open up a five-point lead over Ajax in second and, in the process, claim the title of ‘winter kampioen’ while, at the other end of the table, struggling NAC Breda gave their survival hopes a timely boost by hitting nine-man Heerenveen for four. The day’s action was brought to a close at the Van Donge & De Roo Stadion where Heracles got back to winning ways by hitting hosts, Excelsior for three without reply. 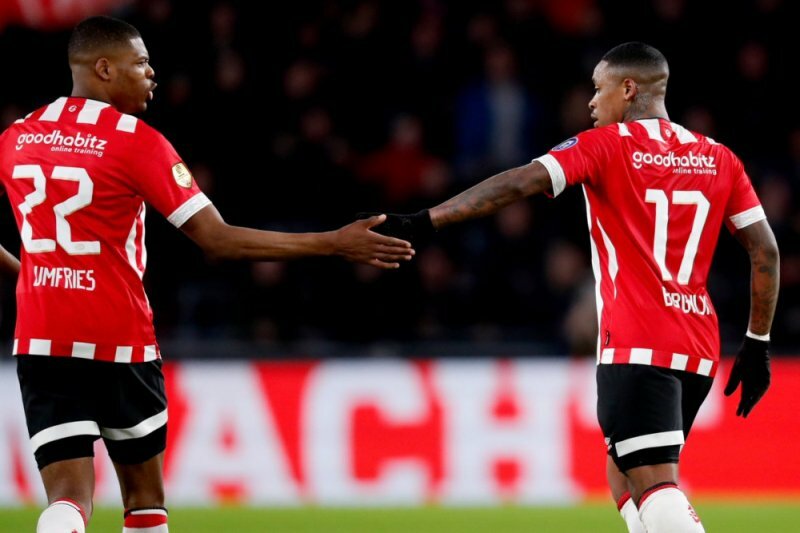 Sunday’s action began at the Stadion Galgenwaard where Ajax rounded off the year by smashing hosts, Utrecht for three to cut pace-setting PSV’s advantage at the top of the standings back to two points once more. Elsewhere, a 77th minute spot-kick from Abdenasser El Khayati saw ADO Den Haag grab a late share of the spoils from their clash with an undermanned Feyenoord while a 65th minute leveller from Vitesse Arnhem’s Matus Bero denied bottom-of-the-table De Graafschap a much-needed three points in Doetinchem. The seventeenth round of Eredivisie action was concluded in Emmen where goals from Aras Ozbiliz and Fran Sol saw Willem II end the year with a win.